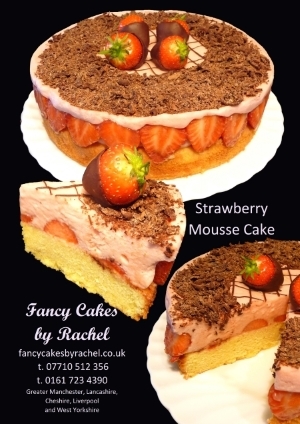 All of our cakes are made fresh to order using only the best, fresh ingredients. Mississippi Mud cake Made with luxury, continental dark chocolate and layered with a creamy chocolate ganache. If you love chocolate this is the cake for you. White Velvet An incredibly moist vanilla sponge made with sunflower oil and buttermilk. Fruit cakes are covered with an apricot glaze, marzipan and sugar paste icing. All other cakes are iced with sugar paste icing and then decorated to your specification. Our cakes are suitable for Halal, they are vegetarian and do not contain alcohol.